The July 4th Parade in Monroeville. Lineup is at 8am in front of ProBikes Monroeville. Please join us as they REALLY help us out! MUni Mondays @ Ritts. 7pm. Let us know a day or two in advance if you need us to bring something extra. If you didn't get the email for some reason, but check here, we have a business meeting Tuesday (the 12th) at Panera. Topics include NAUCC 2012- and beyond. We need to sort details for the trip and discuss future plans- they're pretty big. Be there. 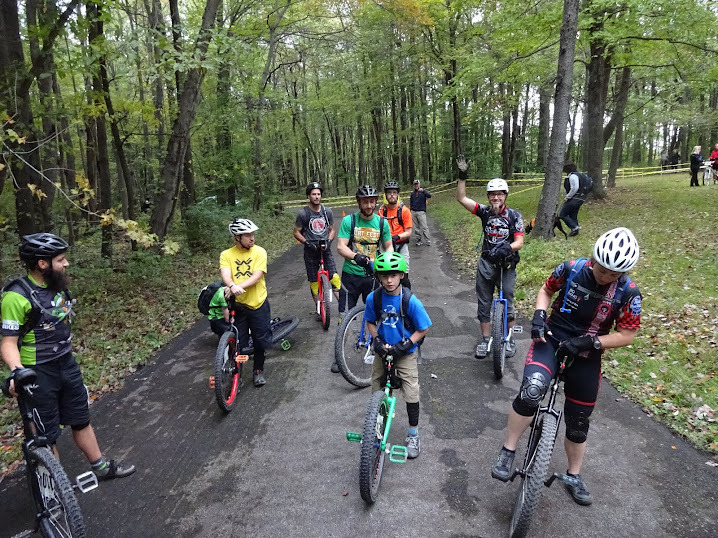 It was a good unofficial 3-day weekend for unicycling in the region. Saturday was a lot of back roads scouting. 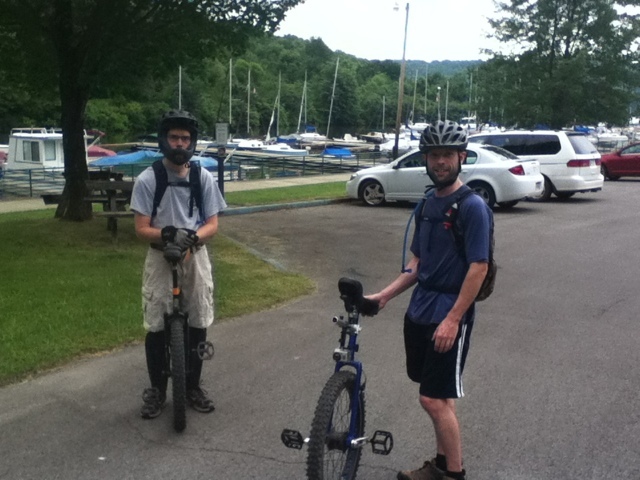 You need to attend NAUCC 2012 to get a feel for how AWESOME a week long unicycling convention is. Just sayin'. Sunday we shot the video above on the Moraine bike trail ride. Well, it's not just for bikes but for unicyclists, walkers, and roller bladers too. And geese, and chipmunks, and groundhogs, and skunks, and deer. We saw them all. An nearly collided with some of them. MUni Monday went down without a hitch. A few falls, but not a hitch. We also got to meet Eric in person. It turns out he and Dave had met a few years ago when Eric was cruising downtown on a uni and Dave was riding a tallbike. Eric doesn't live in Butler anymore, but often comes to visit. It will be good to have him ride with us. And play hockey.